HomeSkin careWhat are home remedies for acne treatment? let’s talk about home remedies for acne. It is not unusual for someone to have acnes especially for individuals who are in their teenage years. People in this age group tend to produce more hormones than people who are already considered as adults. Nevertheless, acnes can occur in any part of our body. They can be caused by more than one factor as well. Our lifestyle or even being deprived of sleep can make us entitled to those acnes. Acnes can easily be reduced or even prevented. You just have to look inside your home and find things which contain elements that acnes are afraid of. In other words, give your acnes a natural treatment that they would never forget. Grapes can prevent you from acquiring acnes simply because they contain a lot of vitamin C. Thus, don’t forget to include them on your daily diet. You can even apply them to your face if you want to. Just cut them into two and apply their flesh to your acnes. Use cool water in washing your face after a maximum of 15 minutes. Grapes can keep your pores closed and they can reduce the pain that you’re experiencing due to inflamed skin. Oranges are also a great source of vitamin C. The peel of an orange and its extracted juice are both effective treatments for acne. However, it would be better for you to apply the peel on your face instead. So, what you need to do is to create a paste that would contain water and the powdered form of a dried orange peel. Once your done making the paste, put it on your all of your acnes. Then, use warm water in washing your face after a maximum of 15 minutes. Treat your acnes with the soothing and cooling effect of a cucumber. Create a paste that would contain 1 tsp of yogurt and the blended form of the cucumber. A small size for the vegetable will do. Put the paste that you have created on all your acnes and wash it off only after a minimum of 30 minutes. It’s as simple as that. Honey has moisturizing and antiseptic characteristics that would surely drive all the acnes away from your face. Juts create a face mask that would contain equal proportions of powdered nutmeg and honey. Put the finished product on your face, relax for about 30 minutes and wash the face mask off using warm water and cold water afterwards. Cold water can help tighten your pores. Do this routine on a daily basis for you to prevent future acne breakouts on your skin. Neem or Indian Lilac can provide cure to several skin problems and that includes acnes. It kills fungi on a person’s skin which make it a well loved treatment for acnes. To start of, simply gather some leaves of an Indian Lilac. Create a paste out of it by combing the leaves with turmeric powder and a considerable amount of water. Put the paste on your acnes and remove your breakouts in no time. 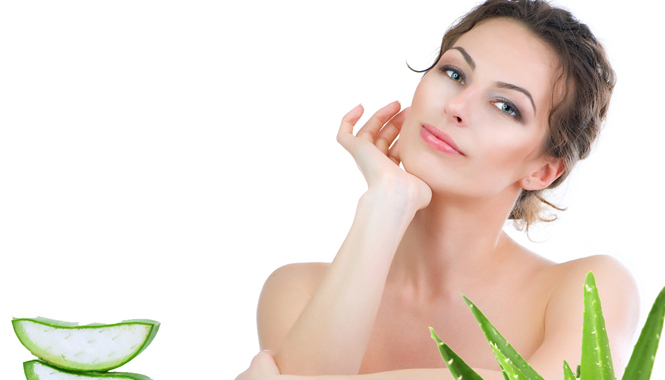 Aloe Vera has all the elements that you would need to fight against your acnes. This plant can make your breakouts disappear in just a few days. You simply need to get the juice of this plant and put in on your face two times a day. If you have acne scars, then this juice can also provide remedy to the condition of your skin. Aloe Vera juice can easily be found in markets or you can simply plant your own Aloe Vera right in your backyard. Fenugreek is a herb that can get you cured of your acnes as well. To begin, create a paste out of its leaves. Don’t forget to put water into the mixture. Put the paste on your acnes. Stay still for a maximum of 15 minutes and rinse the paste off with the use of warm water. Do this routine for a maximum of 4 days for you to finally get rid of your acnes. Tea tree oil can certainly treat your acnes naturally. It may get your skin a little bit irritated by it provides your face with cells that can fight against bacteria and it eliminates all of the dead skin cells causing you to have those acnes. Simply pour one drop of this product on your face 3 times on a regular basis for you to get the results that you want. You don’t have to use special toothpaste for this home remedy. You can make use of the one that you already have at home. Just put small amounts of the product on your face before you go to sleep. The chemicals from the toothpaste would cause the acne to become dry and inflated. Your breakouts would surely disappear after 48 hours. There are two ways on how you can make use of the acids found in a lemon to treat your acnes. First, make a solution that would contain equal proportions of rose water and lemon juice. Use the solution to wash your face and eliminate all the dirt that are stuck in your pores. Second, you can simply cut a lemon into two, rub the flesh of the fruit into your acnes, stay still for a couple of hours and finally wash your face with clean water. Take note that the home remedies for acne that we have mentioned in this article are for mild cases of acnes only. Severe cases can be treated with a change in one’s lifestyle and by availing the services of a dermatologist or over the counter products.